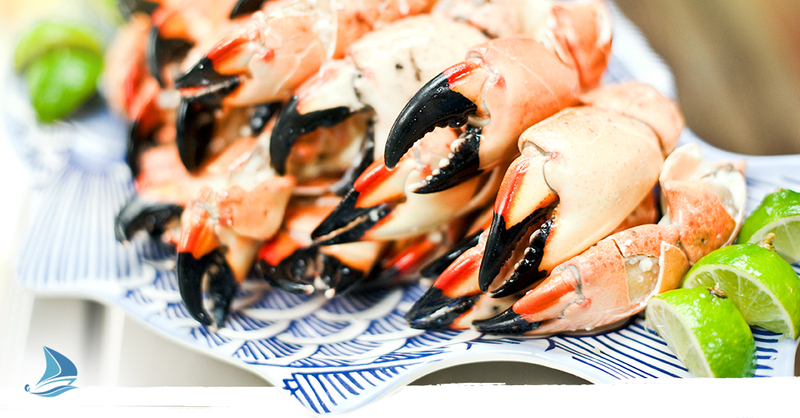 When it comes to Stone Crab season, the Florida Keys is where it’s at! But, like any excursion, one must be thorough in one’s planning and execution. Mangrove Marina, which offers houseboats rentals, and provides services such wet slip rentals, boat repair, and racks is located in lovely Tavernier, Florida. And it is also a place that you can utilize what we have to offer to have a successful Stone Crab harvest. Mangrove Marina is located on approximately twenty acres and offers a bathhouse, bike racks, complete laundry facility, showers, wheelbarrows, and gardens for all the guests at this favorite locale. We know what it’s like to prepare your boat to haul in those Stone Crabs or drop traps into the Florida water. The Florida State Waters Harvest Seasons begins on Oct 15 and ends on May 15 per Florida’s Fish and Wildlife Conservation Commission. The Stone Crab traps may be put in the Florida water ten days before the opening of the Stone Crab season. Once these crab traps have been placed, crab harvesters may not work these crab traps until the beginning of the crab fishing season. At that time, one can begin harvesting these succulent Stone Crabs. The Stone Crab (Menippe mercenaria) has a limit per day harvesting of a gallon of claws per person. Per vessel, Stone Crab harvesting is only 2 gallons per vessel according to Florida’s Fish and Wildlife Conservation Commission. When considering lodging, Mangrove Marina is a great location to prepare for your Stone Crab harvest. Mangrove Marina has plenty of resources and accommodations. Mangrove Marina can tow your boat if it has been partially or fully submerged. We have a storage yard, too. Houseboats: The Lodge at Mangrove Marina provides some great houseboats, which allow you to experience an adventure that includes living on the enticing water. There are no added expenses come with boat ownership for you to worry about. At the Lodge, sip your coffee while dipping your toes in the warm bay waters — no need to leave your room. Wetslips: There are 102 wet slips at Mangrove Marina for the live, onboard boaters or the transient boaters. Mangrove Marina provides boaters the availability to stay in one of our 100 plus slips during any storms. Mangrove also provides boaters and stone crab harvesters with dry storage services. Mangrove can provide a lift and a Wiggins fork-lift in case you need boat storage. Racks: Boats on their trailers receive unlimited ramp use. Our rates are based on your boat’s length. We round to the next foot up. No matter the choice, the world-renown Florida Keys will be waiting for your arrival for harvesting those tasty Stone Crabs.